I’ve read a couple of your blog entries, and I appreciate how calmly and civilly you discuss topics that often turn into heated arguments, even in the comments section. I have a question for you. What difference does it make if we know HOW a miracle happened? It seems like a common perception to think that if we discover the physical means by which a miracle occurred then it is no longer a miracle. This makes no sense to me. Take the plague of frogs on Egypt. Let’s say we can scientifically prove that there was toxic algae water that killed all the frogs’s predators and simultaneously made them spawn faster and leave the water to invade Egypt (as opposed to God creating the swarm of frogs ex nihilo?). It may explain HOW it happened, but that doesn’t change or even explain WHY it happened or WHO caused it. It also doesn’t explain why it ‘coincidentally’ occurred shortly after God warned the Egyptians about it and never since. The same thing is true about the virgin birth. I don’t believe this unlikely scenario, but if it’s possible that parthenogenesis + testicular feminization + back mutation occurred in Mary, that doesn’t explain WHY Jesus was born or WHO is responsible. It’s still just as much of a miracle, especially because it is so unlikely (it only happened once). Hi Mark, thank you for your comment and your encouraging remarks. In my experience I have found that uncovering the details of particular miracles is a double edged sword. On one hand it provides some form of potential “evidence” that a miracle occurred, making a surreal event seem more plausible to skeptics. On the other hand, skeptics can utilize that same evidence to rule out any supernatural activity. But just as you said, a miracle could simply be in the coincidence of events that have physical causes. Though skeptics will just dismiss it as coincidence. To answer your question, I believe that anytime a skeptic tries to find natural causes to a miracle they’re just trying to remove a supernatural cause from the equation, and thus rule out the need for a God. What I think is so fascinating about the subject of the virgin birth is the variety of attacks leveled against the authenticity of the story. People have attacked the authenticity of the author’s accounts with everything from copying to misinterpretation of natural events. 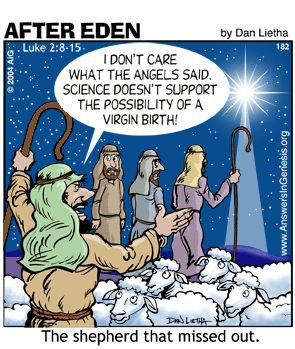 The fact that skeptics are resorting to natural causes for the virgin birth, seems to me at least, like a last ditch effort to explain the virgin birth without God, which in a round about way, takes the Gospel accounts as an accurate historical narrative. Because why would they bother with natural causes to the virgin birth if they didn’t believe Jesus was a real historical figure, or that the Gospel accounts are rooted in historical events? 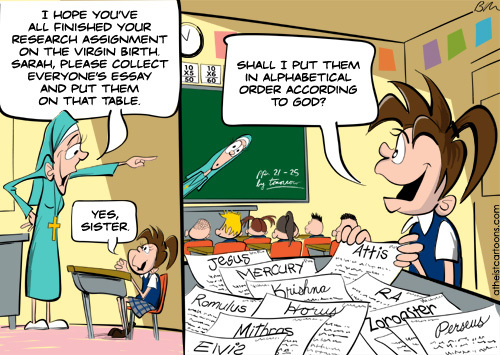 To look for natural causes to the virgin birth means they have some faith in the scripture. Apparently I am an Atheist…?